The U.S. Consumer Product Safety Commission in cooperation with Purr-Fection by MJC, Inc., of Tualatin, Ore. is announcing the recall of about 7,200 Beamerzzz™ Stuffed Animals with LED Flashlight. LED flashlight wires can protrude through the stuffed toy, posing a laceration hazard. One incident was reported involving a consumer who noticed an exposed wire. No injuries were reported. 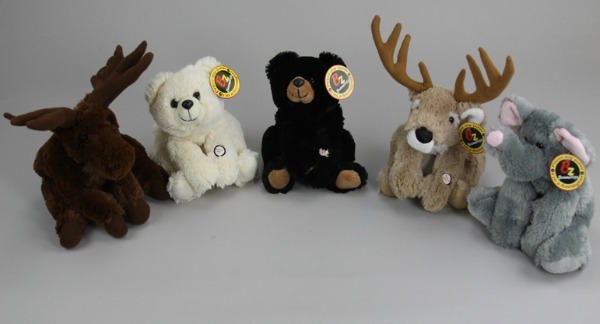 The stuffed animals were sold at Cabela's stores and online at Cabelas.com from September 2012 through November 2012 for about $15. They were manufactured in China. Consumers should immediately take the recalled toys away from children and contact Purr-Fection by MJC for a replacement toy. For more information, contact Purr-Fection by MJC at (800) 359-0254 from 9 a.m. to 4 p.m. PT Monday through Friday, or online at www.purr-fection.com and click on the orange product recall tab at the top of the page for more information.